Here at Siding in Vancouver, we know what you are looking for in your siding experience. You want to trust the person working on your home, to feel safe within your walls, to love the new appearance of the building, and to have the best possible customer service. These are the things that we are looking to provide to every one of our clients, and we always do everything that we can to put our customers first and see these goals achieved. Whatever your project, our team here at Siding in Vancouver is prepared to help. We have the tools, expertise, and experience needed to successfully take on everything from a brand new apartment building to a small, heritage home siding repair. As soon as you give us a call, you have a team of committed neighbors working to solve your problem and make your siding dreams come true. We love forming relationships with our customers and are here to make sure that you are kept in the loop throughout the process, given full control over the direction of the project. We know you will be more than pleased with the final results. Siding in Vancouver is also happy to offer our customers a quick turnaround. In a matter of days, we can transform your entire home into something new and beautiful. 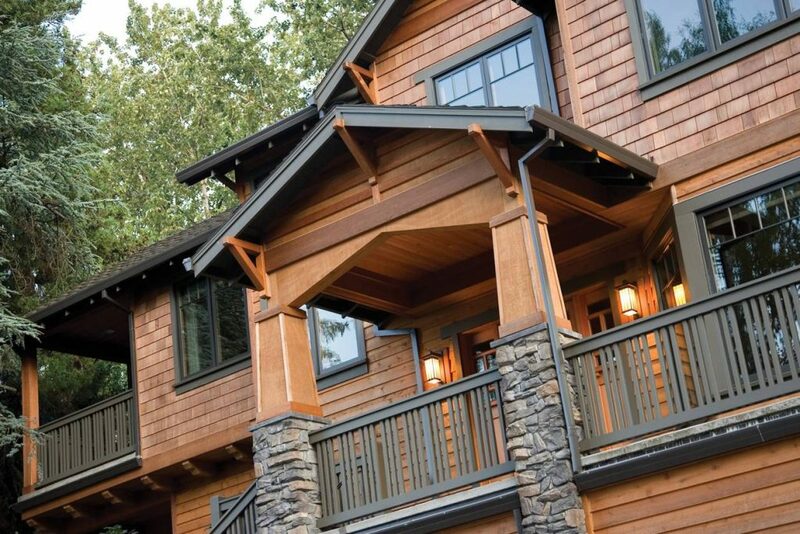 Our company is the only official Preferred James Hardie siding contractor in the Greater Vancouver Area, and we pride ourselves on offering the best customer service around. Our teams also have extensive experience with all major siding materials and can offer you a diverse array of construction skill sets, addressing any building issue that may arise. 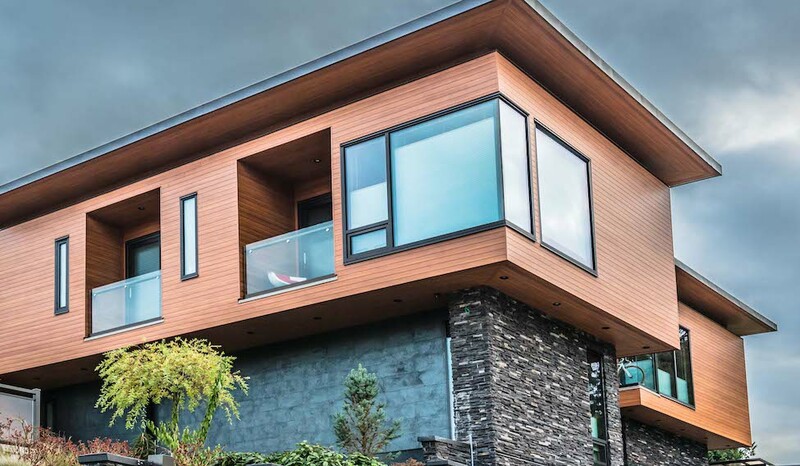 Most Maple Ridge homes are clad in one of two different siding materials—fiber cement, also called James Hardie, or vinyl. These are both synthetic materials and offer a high degree of durability to the homes which they surround. Both fiber cement and vinyl siding stand up well against the elements, surviving harsh winters and hot summers with ease. They are also both able to mimic the appearance of natural wood with ease, and without the threat of rot or pests. Offered in a range of colors, these materials are able to provide for every style choice and every neighborhood HOA requirement. Siding in Vancouver is pleased to offer Maple Ridge residents a siding experience free of worry and hassle. The goal of every single one of our employees is to make sure that we provide excellent customer service and perfect installation. We want to help our Vancouver neighbors and make sure you are safe and happy within the walls of your home. We are the best at what we do, and we are more than glad to help you achieve your dream home. We have an excellent reputation in the area, regularly reviewed as reliable and trustworthy contractors. We are highly experienced in working with James Hardie (fiber cement) and Longboard® products, as well as vinyl siding, board and batten siding, shake siding, cedar siding, and plank siding. Give our team here at Siding in Vancouver a call this very day! Our employees are standing by the phone waiting to answer your question. If you are curious about any facet of the siding installation process, or even the siding industry at large, we are glad to discuss it and provide you with some answers. We are always happy to chat with our clients and community members about the business that we love, providing advice and information about the home siding industry. Give Siding in Vancouver a call! We would love to come take a look at your home and provide you with an estimate entirely free of charge and free from obligation.